Cute mini versions of our whole cakes - available in packs of 4, 8, 16, 40, 80 or 120. Cute baby versions of our whole sponge cakes - these mini cakes are the perfect size to have with a cuppa. We have over 15 flavours to choose from including gluten free. Available in packs of 4, 8, 16, 40, 80 or 120. We have over 15 flavours to choose from so you can create your perfect baby sponge gift or party box: Apple Crumble, Bakewell, Victoria, Chocolate, Carrot, Chocolate Orange, Coffee, Lemon, Red Velvet, Sticky Toffee Pudding, Gluten and Dairy Free Elizabeth, Gluten Free Victoria, Gluten Free Chocolate, Gluten Free Apple Crumble and Gluten Free Carrot. 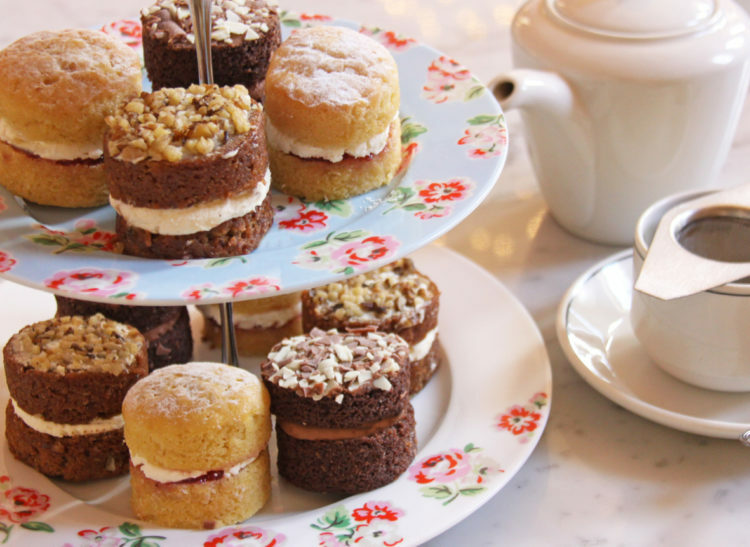 Our Baby Sponge Cakes are the perfect size for a traditional English Afternoon Tea. 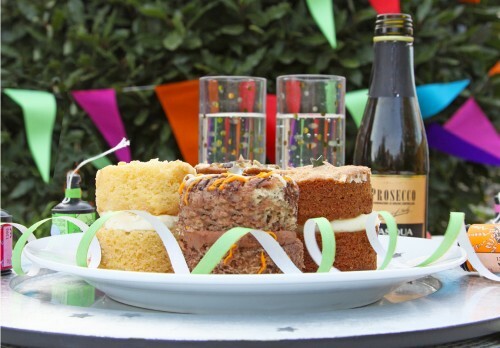 Why not order a selection, invite your friends round and have your very own tea party. Serve with a selection of teas, finger sandwiches and some pretty plates for the ultimate Afternoon Tea! Our Baby Sponges are presented in a lovely gift box and wrapped with our cute sponge themed wrapping paper - so they arrive looking pretty as well as completely safe due to our robust packaging. 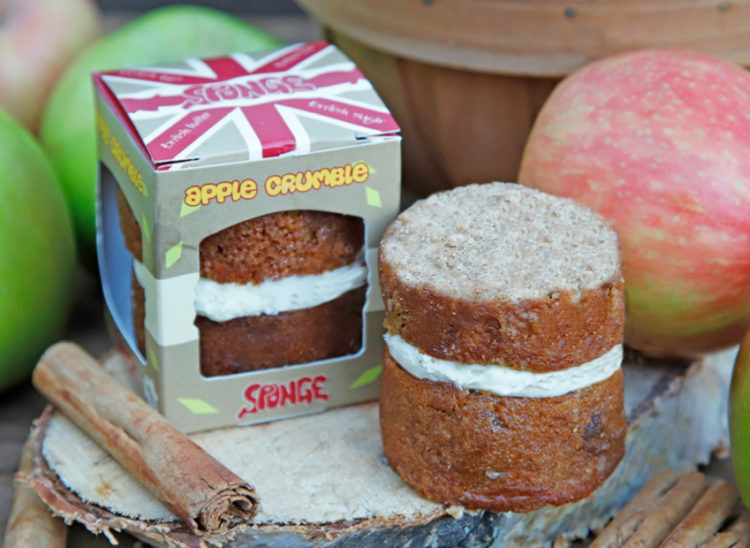 Our Baby Sponge Cakes make a great birthday present in our gift box sizes of 4 or 8 - why have one birthday cake when you can have lots of mini birthday cakes! Jazz them up with some candles, table sparkles and balloons for the ultimate birthday gift package! 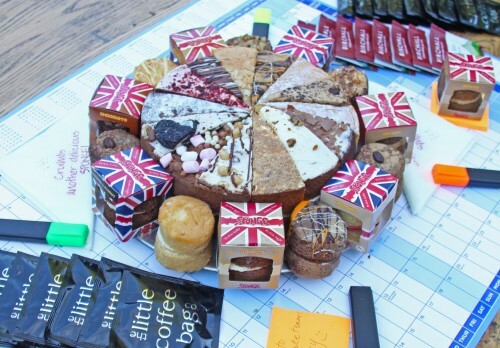 If you are throwing a big birthday party then why not get one of our party box sizes in 16 or 40! 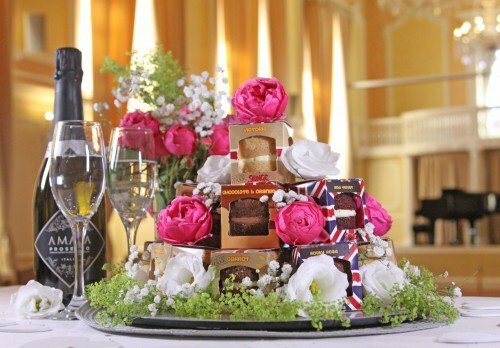 They make a fantastic centrepiece for any party especially when they are presented on tiered cake stands or stacked up in their boxes.